Milwaukee Art Museum. Sumptuous Surrounds: Silver Overlay on Ceramic and Glass, The Collection of Warren Gilson. Milwaukee, Wisconsin: Milwaukee Art Museum, 1990, p. 40, cat. 15, color pl. 17. 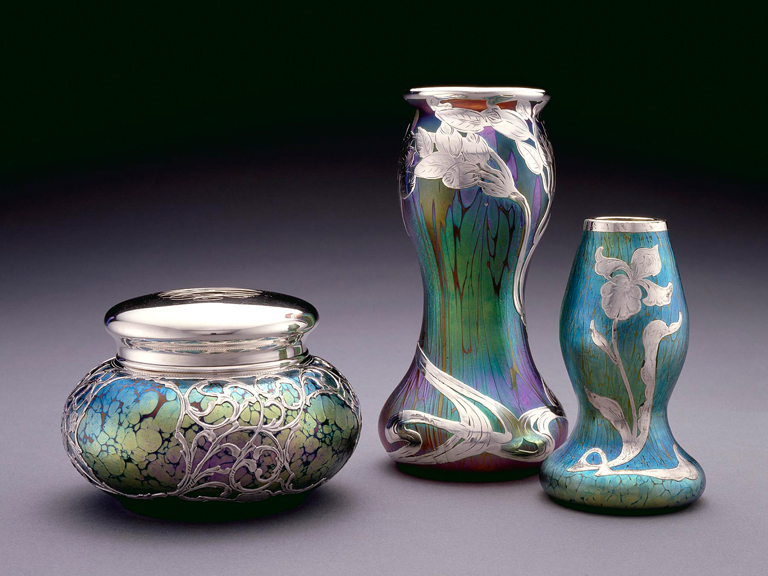 Sumptuous Surrounds: Silver Overlay on Ceramic and Glass, The Collection of Warren Gilson, Milwaukee Art Museum, February 16–May 27, 1990; The Newark Museum, March 17–June 20, 1993; RISD Museum, November 26, 1993–February 6, 1994.